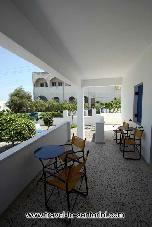 Renovated in 2009, Nissos Thira is a family run hotel in the center of Fira. Within the hotel facilities you will find an outdoor swimming pool, lobby, a TV lounge and breakfast area that will ensure you relaxing moments. There is 24-hour check-out service and a hotel safe. 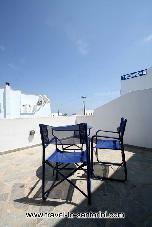 Our hotel is located in a quiet central spot in the busy town of Fira. 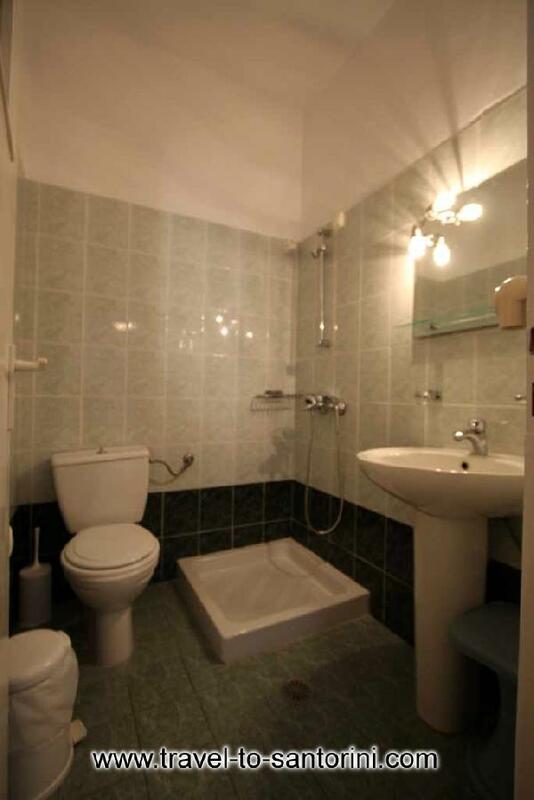 It is within short walking distance from the center of the town. There are regular buses leaving for all the villages and the beaches of the island. The bus& taxi station, restaurants, shops, banks, nightlife and the amazing view of caldera are only two minutes walking distance from our hotel. 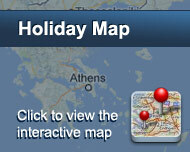 Nissos Thira consists of 20 perfectly equipped rooms, with modern facilities. All the rooms offer: air-conditioning, bathroom, satellite TV, refrigerator, safe box, hair dryer and telephone. 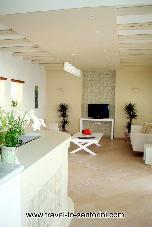 The cozy and sunlit rooms offer moments of relaxation. The hotel does not provide any transfer services but it is very easy to come here by taxi or by local transportation (green buses). If you are looking for a budget, comfortable and pleasant accommodation, Nissos Thira is the ideal place for you, as it offers everything a traveler needs in reasonable prices. Είστε ιδιοκτήτης ή διευθυντής στο NISSOS THIRA; Εγγραφείτε τώρα για δωρεάν εργαλεία, που μπορείτε να χρησιμοποιήσετε για να βελτιώσετε την καταχώρησή σας και να συνδέσετε την ιστοσελίδα σας και το σύστημα κρατήσεών σας.